Our range of products include acoustic folding partition door. To serve the requisite requirements of our precious customers, we are engaged in providing a qualitative range of Acoustic Folding Partition Door. Our heavy duty seals can adjust to an uneven floor, enabling better isolation in existing constructions. 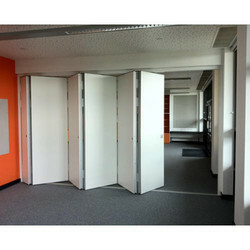 Looking for Sliding and Wall Partitions ?